Angel Tax (referring to provisions under section 56 of Income Tax Act) has been a point of much debate and confusion over past few days. While technical explanations abound, here’s a quick explanation of what it is, and what entrepreneurs need to do to stay clear. These provisions were introduced in 2012 to guard against subversion of taxation on transfer of wealth. India taxes such transfers, which may otherwise be made in form of gifts, except in case of close relatives. However, imagine a person A wanting to transfer money to B. In this case, B can float a company, and A can invest at a very high valuation (receiving negligible shares) in that company. B can now keep using this money for personal expenses (such as buying a car, or a house) in the company’s name (kharcha-paani company.) 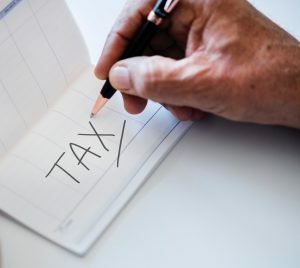 In order to cover this loophole, Section 56 made all investments made in excess of fair market value taxable as income in hands of the company. Very often, these transfers were also being made for surreptitious purposes, such as bribes and kickbacks. So, what did this have to do with Startups? In brief, startups always raise money at valuations in excess of what their current business would be valued at. Investors see potential in an idea and a team, and invest at a negotiated valuation that preserves incentives and motivations of all parties. So a startup may be valued at 50 crore valuation even if its current revenues are zero. While startups regard this valuation as “fair market valuation”, really speaking, in the startup world, valuation lies in eyes of the beholder. Tax officers, faced with steep collection targets, found this to be an easy picking. They are now regularly questioning the fair market value, and levying taxes under the ambit of investments being made above fair market value. While case laws exist around what elements of fair market value can be questioned or not, in the taxation world, the assessing officer is both the rule maker and the judge – and hold on, she also has the unilateral right to freeze the company’s bank account under presumption of guilt. So they have a hammer, and everything looks like a nail. In essence, a move designed to stop money laundering has landed up hurting genuine entrepreneurs and the nation at large. Several of the government departments have been sympathetic to the cause of startups. CBDT itself recognizes that this section was not intended for startups. We saw notifications in Dec/Jan that coercive action may not be taken to enforce these demands will a solution was found. However, in some cases, the assessing officers chose to ignore these notifications, and forcibly withdraw money from startups’ bank accounts. What can you do – he’s got the hammer. Did we mention Section 68? This is another innocuous section that is meant to stop the flow of untraceable money into companies, for reasons similar to above. This has no valuation linkage. This also started to get applied to genuine startups. The reason being – while crooks don’t disclose their sources of income, perfectly law-abiding citizens also do not want to publish their financials in newspapers – and that meant that startups didn’t have access to financial history of their investors. Taxmen took this as sufficient evidence of untraceable income, and levied taxes on those receipts. Similarly, venture funds normally don’t disclose the list of their investors, so even SEBI-registered funds were found caught in the net. Easy pickings! It seems that both Section 56 and Section 68 are here to stay, and one can understand why. The government is trying to define what a genuine startup looks like (because they are unable to define what a genuine crook looks like,) and create exceptions for them. However, given the loss in translation while these rules get to the ground level, means that abuse and harassment are likely to continue. What can you do as a founder? Run if you can. Relocating your company to an overseas domicile has had increasing benefits, and this one trumps them all. Of course, this option is largely available if your startup targets only overseas markets, or has only overseas investors – having both domestic investors and domestic operations may invoke round-tripping rules. Look out for the notifications around exemptions for startups, and stay within those reserved zones. Certain classes of investors may become off-limit – its best for you to avoid those. Know your investor – no, not just know, know them like a tax guy would like to know them. I know it’s not always possible, but do it. Get their KYC information at time of investment itself. At the end of this, I would like us to remember that we are mere law-abiding citizens. Many of us would be dead by now, if it were not for the understanding and compassion from those in the government who understand the role that startups play in an ecosystem. Thank you. VentureAsk: Ask your queries with credible answers. “StartupIndia StandupIndia” to “You are the easiest picking in the Savannahs”. Talk of a message lost in translation! We have had very good experiences with the officer who did our scrutiny for Angel Tax and section 68. We never met him and submitted details of funds raised with a letter and the spreadsheet of how the CA firm that approved our valuation computed the valuation. Our scrutiny was closed with no demand. It was a bit painful and the firm that handled our taxes charged us Rs 50000. We also had to go through a PF investigation because we closed our offices in Gurugram. I decided to handle myself and closed with no fee. Again painful. Have run Bharosa for over three years without paying a rupee in bribes and the pain is not much more than if it had been run in Silicon Valley. Bottom line. Support for startups needs to be better but is not all doom and gloom.